Okay, it's pretty hard to review one episode, but let's still try. Was it worth to wait? The answer is surely yes. 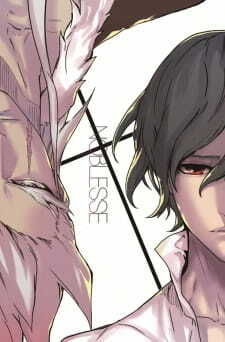 Except for interesting story of its own, it also gives background to the manwha (Later on they mention it, but not much. Guess they though this one is enough). Things that aren't really explained suddenly get clearer. Unforunately, there are some question marks. We didn't learn much about Rai (Except for how he got to the 820 years sleep), but we surely learned a lot about Muzaka and the reason for why all the story in the manwha actually started. As I already said, one might still ask himself a lot if he\she didn't read the manwha, but it's clearly can be seen as ova on itself and nothing more. The story was set clear, but pretty depended on the fact that those who watched it already know the plot of the manwha, a disadvantage in my opinion. Sure, it helped to decrease the time needed for explanation, but still. The relationships among the chracters were shown very clearly, and even if you see it for the first time, there's no question about it. It was interesting to watch, though it was a bit excepted (though I think that even those who didn't read the manwha may agree with me). But there were some new facts, that even for those who read, can be still interesting. I've heard this series was good but never read the manwha, and so speaking as someone coming in with literally zero idea of what to expect, it was not well portrayed. I think they set it up for something good, but then it just stopped after one episode. It wasn't enough to make me want to watch more, and it wasn't all that great in terms of animation. Soundtrack was awesome, definitely will check that out on YouTube later, but everything else was just a bit meh if you don't know about the story at all. As far as characters go, they seemed like they could be very dynamic and make the storyline a lot more interesting... If they had continued the animated series, which obviously didn't occur. Why is this listed in MAL?